The Saturday before Easter was a busy day for us. 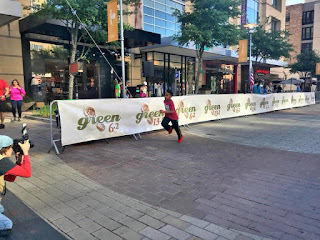 We are glad we started it by running the Green 6.2 10K/5K! This race is dear to my heart. 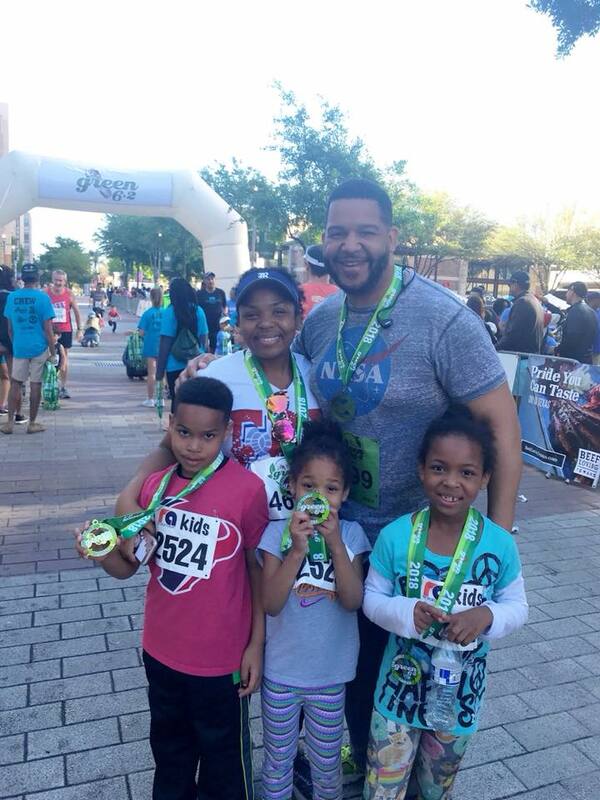 Not only this was my first Texas race, it is now the first race my family ran together. 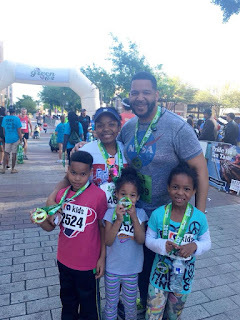 I ran the 10K, my husband ran the 5K and the kids ran the Kids K.
We all woke up very early. The kids were eager to race. The first thing they asked was, "is this the day we run with you?" I said yes, and off we went. 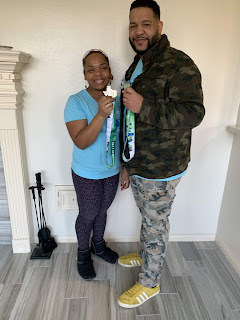 We did race day packet pick up because we were kinda busy moving, celebrating Easter and working. Having that option the day of the race was awesome. My son ran his race well! The adult race started before the kids race. I did intervals and I enjoyed the entire course. By the time I got back, my husband was finished with the 5k and it was time for the kids' race to start. The kids had a lot of fun running. I was incredibly proud of them and thankful to God for such blessing. I started running 10 years ago when I was expecting my first son. I had a dream of running and I also wanted to share this activity with my family. For years they watched me run and after a while, Zeke joined the fun. 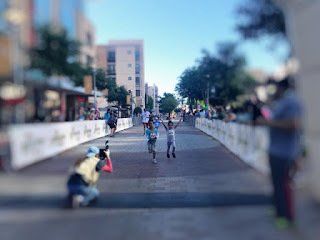 The kids ran their first race last Fall and they now want to race all the time (we need sponsors!). My goal is to coach them so they can run a 5K any weekend. We might start our own running club. Stay tuned! 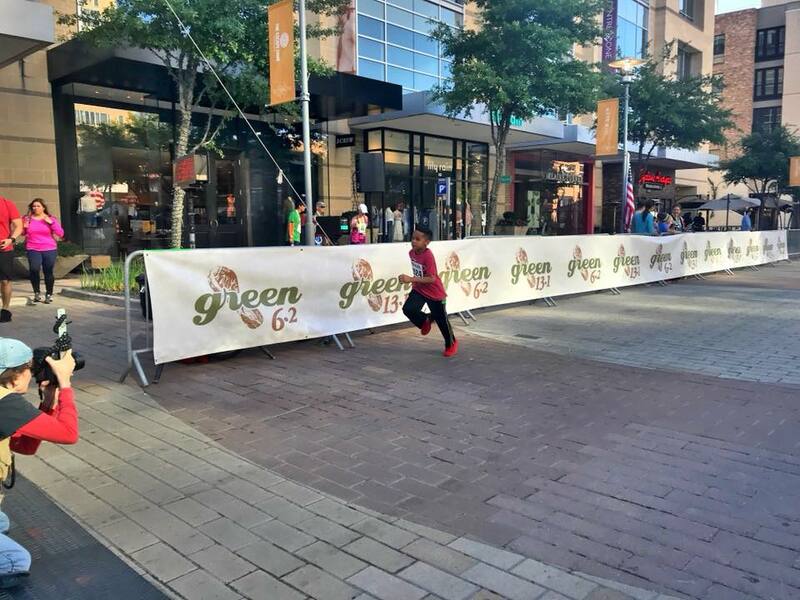 Our joy would not be possible without the support of the Green 6.2 organizers. We love the race and we are so thankful for the opportunity to run as a family. We will be back next year, which will be year 10 of the Green 6.2 and year 7 for me. I hope you guys can join us next year! It will change your life!